Welcome THE MOST AMAZING part of the Melbourne Museum - The Pauline Gandel Children's Gallery. The gallery has been planned out by experts in education and play and Mamma says almost beyond words. This wing opened in early December 2016 it has been designed with our little ones front of mind - the babies, the toddlers and the preschoolers under the age of 5. Crawlers have plenty of space to explore on all fours, it's super engaging for older preschoolers and not forgetting the adults too! So much to do, so much to see, so much to touch and play and discover you may have a hard time keeping track of what tickles their fancy. Right at the get-go when the kids walk through the train tunnel they will be fascinated by all that they encounter. 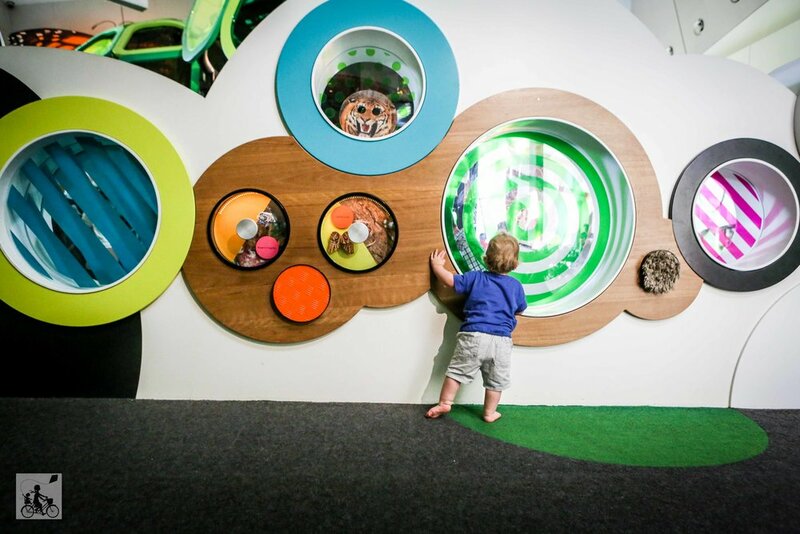 From interactive digital displays, hands on building blocks, mirror play, tunnels to explore and things to climb - look out there are treasures hidden around every corner. 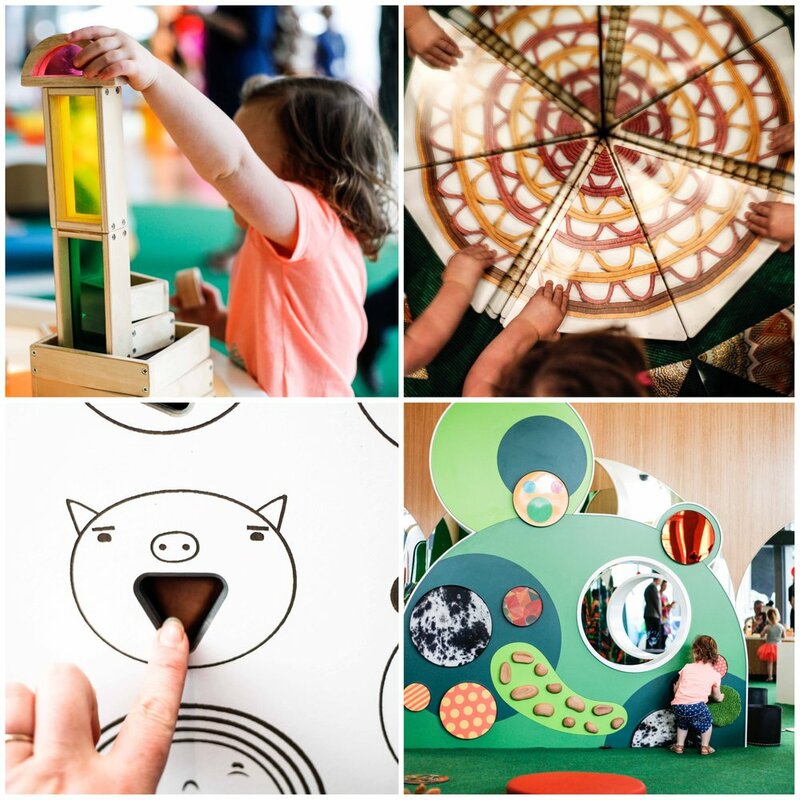 You will just have to try out the massive climbing net structure taking pride of place in the original Children's Gallery space and bust out some dance moves with the animals next door! 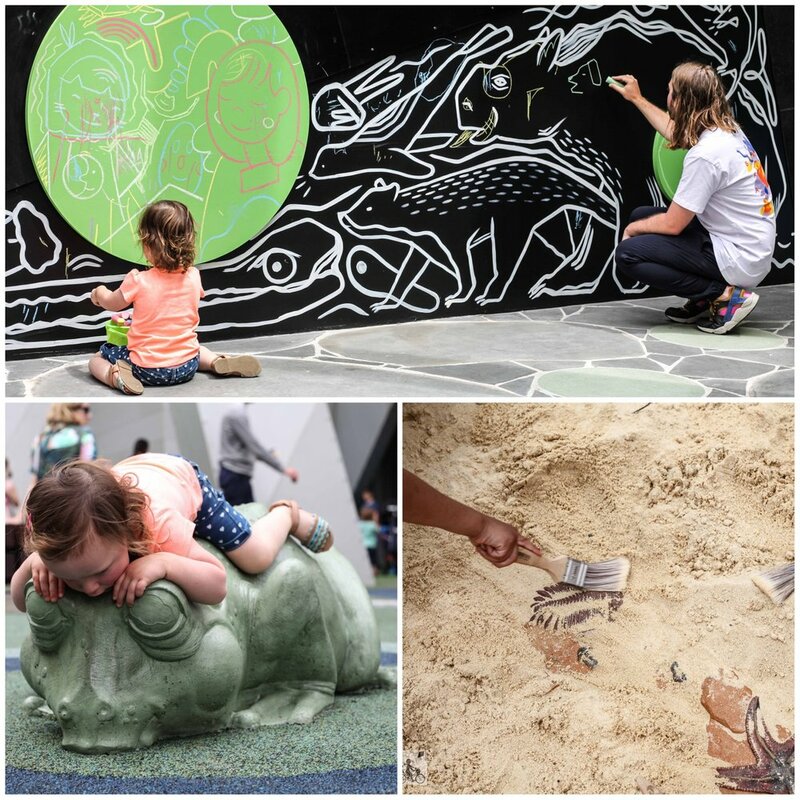 Outside there is a cool dinosaur dig plus Tiddalik the thirsty frog, as well as plenty of nature play and trails too. Mamma is absolutely certain that you could spend a good couple of hours here with the whole family really and then you have the whole Museum to explore too. Mamma's special mention: Once you have explored this brilliant space, you HAVE to visit the rest of this AMAZING museum. Go and learn about the dinosaurs, say g'day to Phar Lap and wander through the forest gallery. check out more brilliant indoor adventures here!